Isabel presents readers with lessons about life, through an analysis of the personality and psyche of this Christian sleuth, a quiet , elderly woman who insinuated herself into Christie’s life in the same manner that she entered Isabel’s life – then became a major force in both women’s lives. 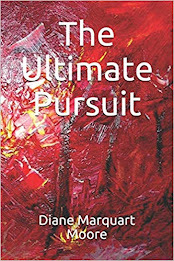 Although Isabel does not set out to defy Hillary Waugh’s criticism (Guide to Mysteries and Mystery Writing) that Christie was weak on characterization, her explication of the genteel Miss Marple as a force to reckon with is a cogent defense against Waugh’s assessment of Christie’s ability to create a strong fictional character – one that she ended up writing about for a major part of her life. Isabel reveals to us that the elderly amateur detective reads Thomas a Kempis’s Imitation of Christ every night and prays about everything, and we are surprised at how much of her spirituality is revealed through Christie’s novels which Isabel probed deeply. However, through Isabel’s lens, we also see that Miss Marple is no prude and entertains the prospect of danger with both compassion and grit – Isabel points out her unflappable attitude in The Moving Finger, in which Miss Marple says: “…we are not put into this world, Mr. Burton, to avoid danger when an innocent fellow-creature’s life is at stake." Miss Marple is an icon and heroine of detective fiction deftly presented as a model of Christian charity, a true “woman for others,” as Isabel calls her. A reading of this excellent literary explication can only bring us to the agreement that “professional detectives are no match for elderly spinsters.” (Agatha Christie upon the publication of The Body in the Library). This is a journey with a lovable character that will take readers of the Miss Marple series by surprise and provides an exploration into the Christian aspects of Christie’s work, delivered in nine discerning chapters. The book is complete with bibliography, notes, and study group discussion questions. Isabel Anders is the author of more than 25 books for adults, children, and young adults, including three recent spiritually-themed study guides Becoming Flame, Spinning Straw, Weaving Gold: A Tapestry of Mother-Daughter Wisdom, and Miss Marple, Christian Sleuth. 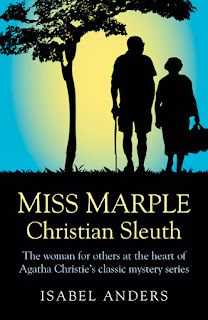 Miss Marple: Christian Sleuth is appropriately dedicated to Diane Marquart Moore: Poet and sleuth extraordinaire! WATER HYACINTH – PLAGUE OR CLEAN-UP DETAIL?